It is too hot in Arizona parts of the year to hold gym class outside. 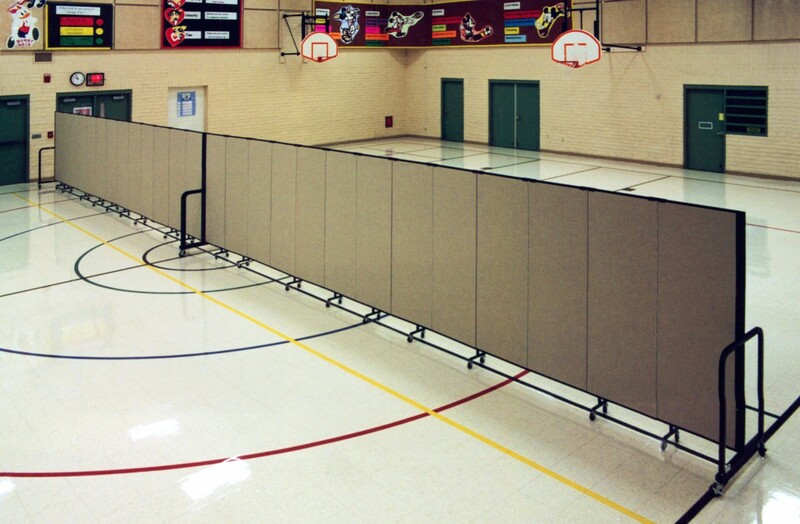 So this school uses Screenflex freestanding dividers to divide their gymnatorium. During lunch periods, half the room is used for lunch and the other half for PE class. 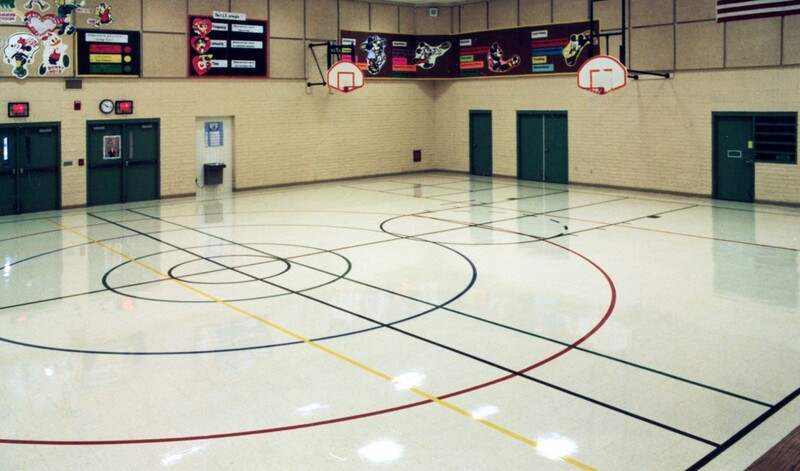 Having a flexible school gymnasium design allows them to adapt to changes in the use of space quickly and easily.